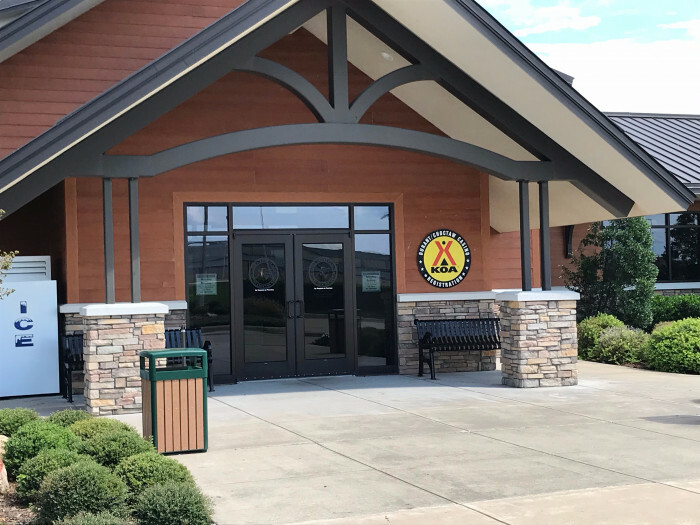 Ask fellow campers about "Durant / Choctaw Casino KOA" and nearby attractions. What a pleasure to discover this beautiful park! Shuttle service on demand from camp to casino, the most marble and travertine I've ever seen, in both the check in area and the comfort stations. What a great experience! We camped at Durant / Choctaw Casino KOA in a Motorhome. 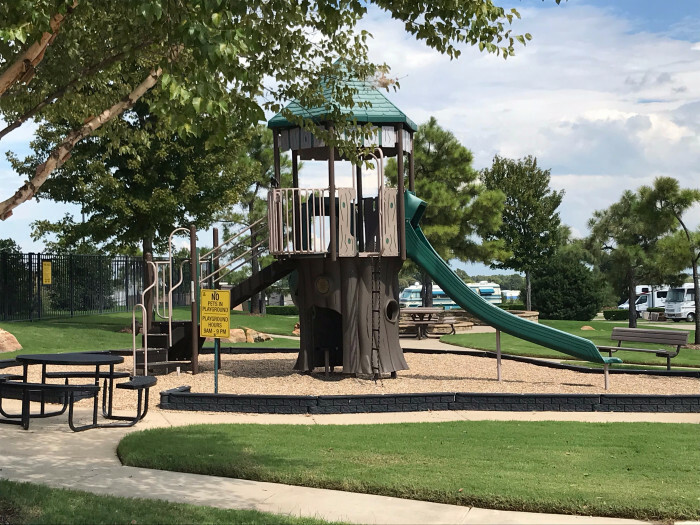 Even if you're not interested in visiting the casino, stay at this park! Beautiful facilities, such as laundry room with a TV as big as life size. The campground is one of the best in the country - nice long full hook up sites with cable - the club house has lots of amenities and a spotless clean laundry room The casino runs a free shuttle to the casino - We ate twice in 5 days at the buffet in the hotel - one of the best buffets ever We camped at Durant / Choctaw Casino KOA in a Motorhome. We had a large, level, cement FHU site that was satellite friendly. The Wi-Fi worked fine. The bathroom and laundry are modern and clean. I agree with others that this park has very good facilities and recreational (pool, playground, etc.) amenities. It also has recycling - something I haven't seen in weeks. 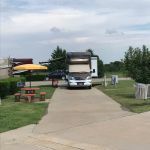 We camped at Durant / Choctaw Casino KOA in a Motorhome. Would have given the park a "10" rating Except for the mosquitoes!!! they have a drainage pond in the back of the park and it appears that it must just be a breeding ground for the little buggers - I looked down after walking the fur babies and had at least 10 on my legs. My hubby doesn't ever get bothered by them and he is swatting all the time - they could be doing some ""fogging"" work to abate these pests but we have not seen anything like that in three days of staying here. With these prices a little bug fogging would not break the bank - either that or put a fountain in the holding pond to keep the water moving. Also - the shuttles to the casino are a nice touch but the steps up are at least 8 to 9 inches high - hard for us senior citizens who have had recent surgeries - just sayin. 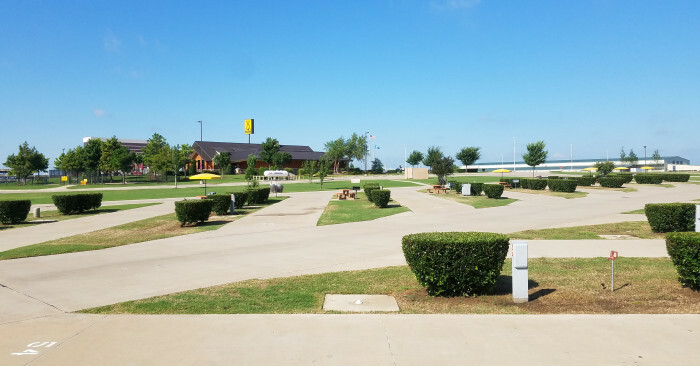 We camped at Durant / Choctaw Casino KOA in a Travel Trailer. People drive WAY too fast on the internal roads - they have posted 10 mph signs but no one pays attention to them = have seen cars and vans going at least 20 to 30 or so - thank goodness no puppies or kids in the way! There is a yummy Amish bakery about 1.5 miles south of the casino on the frontage road - on the west side of the highway - yummy candies and breads and jams and the cheese selection was awesome! Almost brand new, well kept, easy entrance/exit, all pull-thru spaces with all the trimmings. This is a great looking park next to a casino. Can't complain about the site, only the price. Very expensive, there should be some sort of discount for casino players. No shade at all, just well-planned, big-rig usable sites. 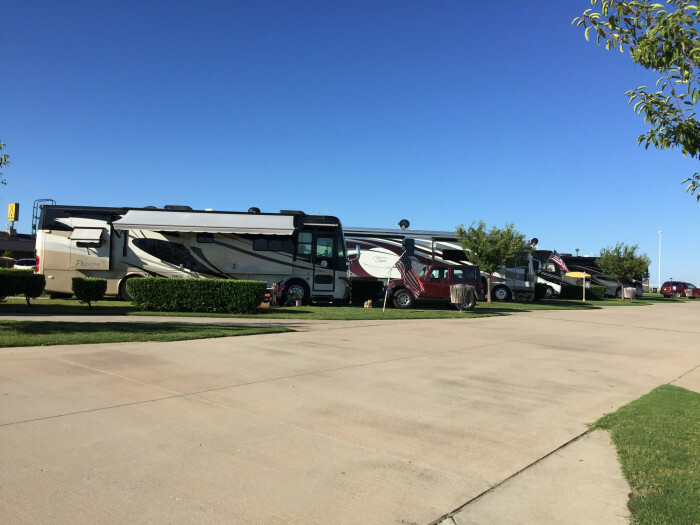 We camped at Durant / Choctaw Casino KOA in a Fifth Wheel. If you like to gamble and have the money, this is the way to go in southern Oklahoma. Nearby recreation areas are an attraction, but this is just an wide-open full sunlight parking lot done very nice. Rv park adjacent to casino. Free Shuttle from park to casino. We were there for a FMCA Texas Chapter monthly rally, so rally rate..spotless, spotless casino and Rv park..Smokey smell in casino-horrible. 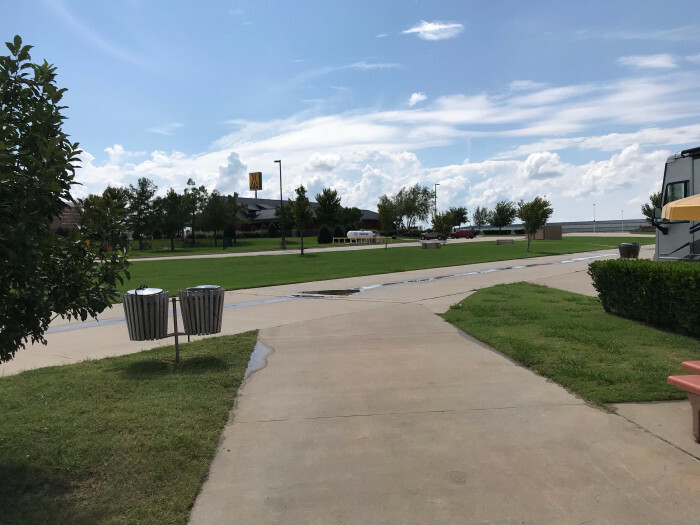 String WiFi, Power, good water pressure...very nice park.. close to shopping, etc...there are some huge big big rig sites.....ours was satisfactory...Our picnic table missing the umbrella and misaligned to door... We camped at Durant / Choctaw Casino KOA in a Motorhome. Visited during an RV rally. Extremely impressed with the facility. Each site was level. The area was very clean. 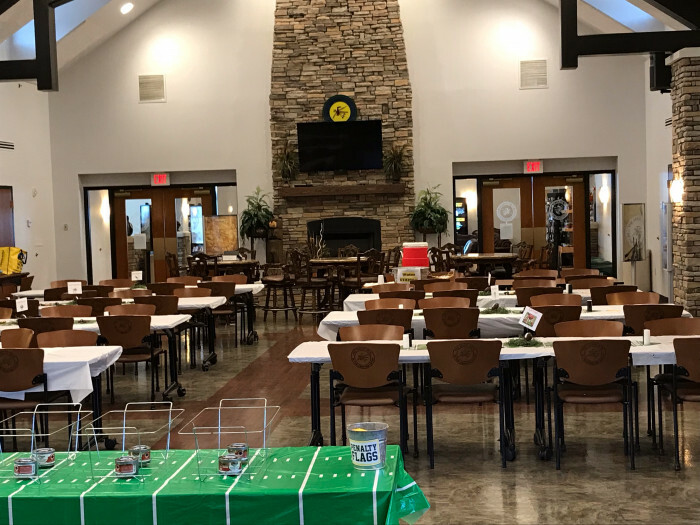 The club house has games to play and everything is new inside. We walked to the Casino, but they have an on-demand shuttle service. The only complaint we had was the fact the trains ran all night. The trains are about 3/4 a mile away. If you are a very light sleeper, this may not be the location for you. We camped at Durant / Choctaw Casino KOA in a Motorhome. 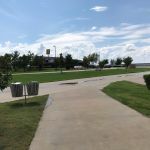 Next to Choctaw casino, easy entrance, easy parking, easy maneuverability, well thought out utility locations, paved pads, landscaped for separation. Obviously a lot of consistent work put in this place, it is as neat a location as any I've been to. 24 hour shuttle (free) to and from casino and its amenities. We camped at Durant / Choctaw Casino KOA in a Motorhome. This is by far the best KOA we've ever stayed. The staff is friendly and check in was very quick. Site #5 was plenty long for our 42' motorhome and tow vehicle. Very wide all concrete roads make for easy maneuvering. Concrete pads with patio includes a table with 4 attached seats and umbrella. There isn't much in the way of shade, but each site is divided by box shrubs which adds to a feeling of privacy. They offer shuttle pick up and drop off at your site if you want to visit the casino. There is a very nice dog park with two separate areas. The dog park needed to be mowed, edged and blown out, but there are places to sit under shade trees that make it more comfortable. The showers and bathrooms are beautiful and clean. The laundry room is the same. We always enjoy our stay here! We camped at Durant / Choctaw Casino KOA in a Motorhome. Ok this park is a Casino RV park. It is not in the woods or mountains. If is however one of the cleanest, well maintained campgrounds we have stayed in. Our site was well spaced and level. The water, electric, cable and WiFi all worked as intended. The pool was large and clean. 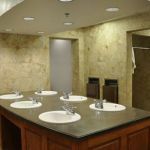 The restrooms and showers are 5 star hotel quality. The shuttle to the casino was fast and the drivers friendly. The campground staff was very helpful. This park was a refreshing break on our cross country trip. We camped at Durant / Choctaw Casino KOA in a Motorhome. This is a really nice KOA associated with the Choctaw Casino. The staff was professional and friendly. Check-in was easy. Sites are all concrete with a small patio that contained a covered table and chairs. There was grass between the sites, but no shade. Hook-ups worked great. Wi-Fi was good. Clubhouse was beautiful and so was the pool area. We will definitely stay there again. We camped at Durant / Choctaw Casino KOA in a Motorhome. 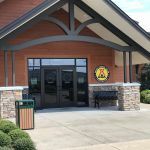 We camped at Durant / Choctaw Casino KOA in a Motorhome. What a beautiful park! Not much to add to what's already been said, other than for the price this is the definition of a bargain. The clubhouse is stunning, the grounds impeccable. We were just passing through and stayed the one night, but this campground deserves a special trip. We'll be back. We camped at Durant / Choctaw Casino KOA in a Motorhome. This was our second stay here and we really enjoyed it again. This is a great KOA and is very well maintained. Long, wide, level concrete sites. Immaculate grassy areas. Shrubs between sites and all building are top notch. The adjacent casino is very nice and offers many food choices as well. If you're in North Texas/Southern Oklahoma give this one a try. We've always stayed mid-week and it's been fairly empty. But we hear that weekends are quite full, and the casino hosts many BIG name entertainment acts on weekends that can fill the park. So plan ahead. 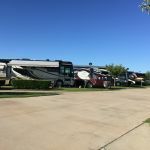 We camped at Durant / Choctaw Casino KOA in a Motorhome. Price reflects weekend price. Weekday price is $45.00. Campground has adequate check in parking and nice wide paved roads. Sites are concrete with a permanently mounted picnic table; some sites have a big plastic umbrella for the picnic table. There are hedges between the sites which gives a tiny feeling of privacy but sites are close together. Sites are long but narrow, so be careful how you position your rig so the picnic table/umbrella does not interfere with slides or door. The grass was beautiful, but there are no trees, which was fine for us. They have a heated pool, but it was too cold to use. We did not check out any other amenities. The campground offers a shuttle to the casino and it runs frequently. The casino is a smoking facility so we did not visit the casino because of this. 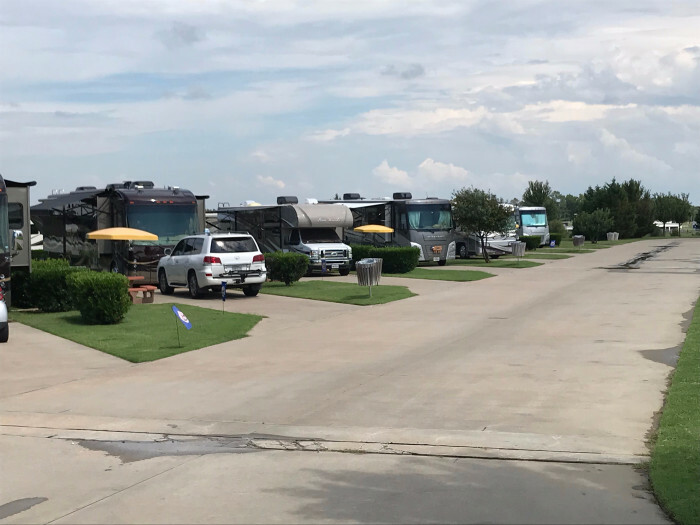 We were using the campground as a staging area for a repair we were having done in nearby Denton, TX and this campground was accommodating as we pulled out and back in after our repairs. There is shopping and restaurants available in Durant. We normally do not stay at KOAs, and even though this one is pricey for what is provided, it was satisfactory for our needs and we would probably return if we were in the area again. 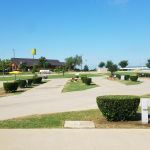 We camped at Durant / Choctaw Casino KOA in a Fifth Wheel. Main Street BBQ in downtown Durant has pretty good BBQ. Their fried green beans are really tasty. This is the best park as all sites are pull thru. Cable is excellent. WiFi is good though we did not use it this trip, but did on our return trip. Park is maintained well, has a great dog park (which our dogs love), a pond at the back has a variety of ducks and a few geese roam the grounds once in a while. Restrooms and laundry are clean. The only negative is that the seating in the shower area is IN the shower portion so is always wet when you need to sit down to put your shoes on. 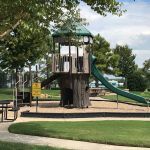 Park is a short distance by shuttle (or even walking) to the casino for a variety of restaurant choices and of course, gambling. 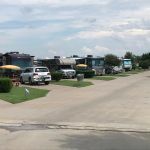 We camped at Durant / Choctaw Casino KOA in a Fifth Wheel. A must stop for us on our way south each winter and return trip each spring. Meals at the Butterfield Buffet in the casino are usually good.. not fancy, but good. Shuttle is available most hours and will pick you up and drop you off at your site. 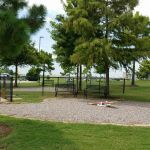 Great park for walking your dog and doggie pick up bags are available at the dog park. Garbage cans are located at each site which is a plus as they pick up daily. There is a shuttle service to the Casino which provides excellent eating opportunities. Saturday night is Seafood Buffet night! There's a complimentary shuttle to and from the casino, very convenient. Holiday weekends may be booked full months in advance. In even outside of holiday times I would strongly recommend making a reservation. Lots to do at the casino. Bowling, movie theater, restaurants, shopping etc. It was like being in a mall. 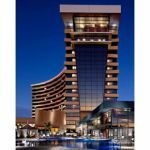 Gamble and eat at the Choctaw Casino. 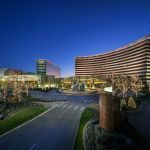 Take a shuttle to the casino - great restaurants even if you don't want to gamble. Or you can walk to it.. just across the road. The shuttle will pick you up and drop you off at your site or at the office and is available 7AM to 10pm. Limited shuttle after 10pm. This is the BEST KOA in the system according to us. Breakfast at the Blue Moon Café in the casino was delicious and reasonably priced especially with BOGO coupon from campground map. Walmart is located in Durant about four miles from the RV Park. 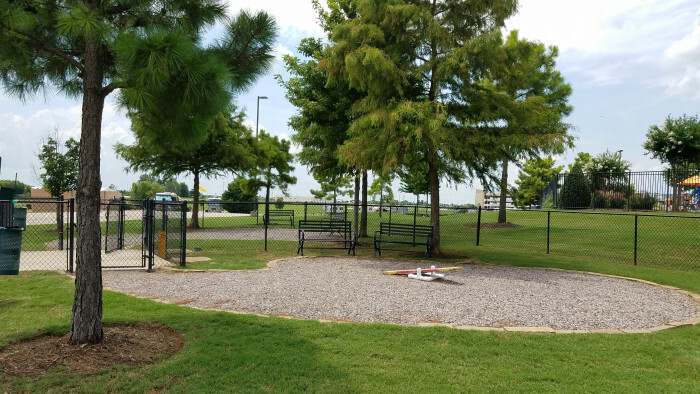 This park is across the street from the Choctaw Casino/Hotel. The walk is not that bad. The casino/hotel is huge, everything over the top. They book well known entertainment into their Grand Theatre, but besides the very obvious casino and its cacophony of electronic music and lights, there is also a movie theater, bowling alley, arcade, and food court with many well known franchises. All this and a number of sit-down and order restaurants and lounges. It is the closest this family will get to Las Vegas. Surprisingly nice Casino across the street and if you don't feel like walking they'll pick you up at your site and transport you to and from. Even if you don't do Casinos, you should check out the area and stay at this CG. If going to the casino to gamble or concert, call for door to door shuttle service. There is a free shuttle to the casino. Get the "member's card" to get a discount at the buffet. It also comes with $10 of slot machine free play - we played the $10 of free play and kept the "winnings". We went to the Fort Washita historical site. There is a casino next door with a really good buffet. The casino restaurants are typical - the casino is very smoky and the restaurant quality is pretty basic. There is a steakhouse in the casino that was relatively pricey but very nice and a great choice for a nice meal away from the gambling floor. Shuttle bus runs when you want, they pick you up and drop you off at your site. Casino is big, lots of machines and table games. Really enjoyed our stay, lots to do in the daytime and RV park quiet at night. If you loke to gamble, this is the place! Next door to the Choctaw Casino. Call and they send a bus for you. No shade, the foliage between the sites provided no shade. 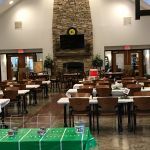 Are you affiliated with Durant / Choctaw Casino KOA ?